Volume 5 of Screenworks (2014-2016) is edited by Dr Charlotte Crofts and associate editor, Dr Steve Presence, both based at the University of the West of England (UWE) Bristol, with the support of the Digital Cultures Research Centre. 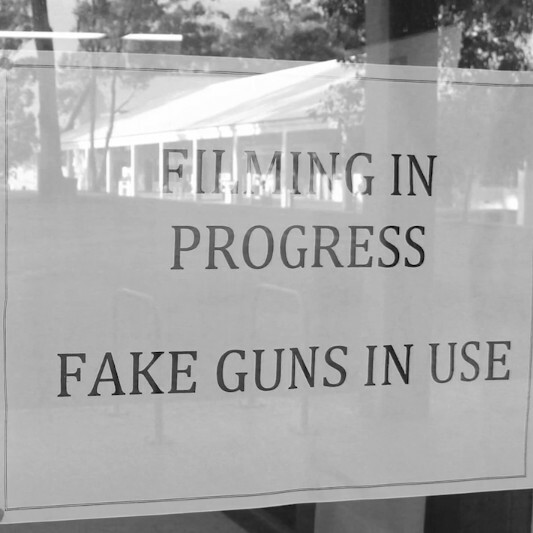 The first submission of this volume, Excursion by Stuart Bender (Curtin University) and Mick Broderick (Murdoch University) is an exploration of the representation of trauma in institutional “rampage” shootings, designed to foreground the experience of the victim, rather than the perpetrator. The published screenwork constitutes extracts from the film, interspersed with interviews with filmmakers and actors reflecting on the process of making the film, ending with a comparative clip from Run.Hide.Fight., a US public information video. 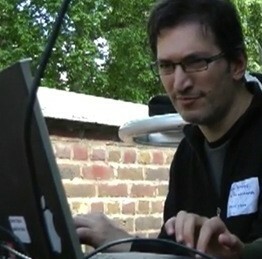 Negotiating this difficult subject-matter, the project not only engages with the critical context of mediatised trauma and its mainstream representation in the news and in films such as Bowling for Columbine and Elephant, but also aims to challenge the didactic discourse of the municipal safety video. The second contribution is John Hondros’ website Visual Ethnography of Amateur Video Makers. Hondros’ research advances our understanding of how websites can be used to represent ethnographies in a visually rich and interactive way through his documentation of amateur video makers’ transition to the Internet age. Rather than starting from the YouTube generation, Hondros’ choice to research the adoption of the Internet by already established video makers offers a rare insight into the impact of the Internet on their distribution practices. In particular, the project offers a useful “route-map” for how to go about designing a website to represent ethnographies of online spaces. Hondros’ work engages three key areas: public access TV in California, UK video activists, and fan video makers examining how they have each made the transition to various online methods of distribution, revealing insights into the affordances (and limitations) of various platforms. The website forms the audio-visual support for Hondros’ theory-based PhD, but it also operates as a stand alone visual ethnography of his informants’ passionate, though problematic, engagement with amateur video making. The third contribution is Sandra Lim’s “non-representative documentary” Underground. 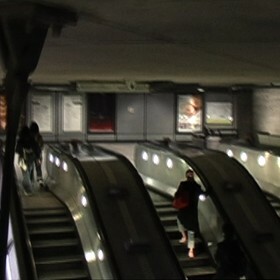 Filmed in London Underground / Westminster Station, Lim’s work explores everyday urban spaces in the wake of the terrorist bombings of July 2005, aiming to challenge dominant documentary and narrative representational forms. The work is structured in two halves. The first half presents hand-held apparently “unmediated” footage of a journey from one platform to another of Westminster Underground Station. In the second half, the footage is played backwards in slow motion with an especially composed score, interspersed with moments of silence. The sound track, which combines military tropes with epic descending and ascending chords, is edited in relation to the physical movements on screen, inviting us to relate to the footage anew in the context of its audio-visual treatment, thus drawing attention to its mediation. The resultant experience is one which both draws attention to the documentary act and makes us alert to the heroics of the everyday. The work provoked a mixed response from the peer-reviewers both of whom had questions about how far the screenwork itself was able to live up to the claims of the research statement. This is a perennial issue for practice research and we publish the work here, together with the peer reviews and a rejoiner from the artist in the hope of making explicit the research process which so often remains hidden in traditional academic publication. The final contribution is Bolton Storyworld by Anna Zaluczkowska, an innovative transmedia experience that was developed in collaboration with staff and students at University of Bolton. The research objective was to explore the teaching of transmedia storytelling by creating three prototypes across multiple platforms, including Facebook, a geo-located website, email, text messages, an online game and live student event. What is interesting about this research is the way in which it outlines the collaborative process, drawing on Jenkins and Millard to explore contemporary screen writing practice that recognises the storyworld, as opposed to plot and character, as increasingly central in the digital age. The submission includes links to an article, a podcast and the storyworld ‘bible’ which was used to anchor the storyworld across its various platforms.